Product Reviews are from verified customers who purchased NuMedica supplements on SupplementRelief.com. They are intended to describe the quality and usefulness of the specific supplement i.e. "how is the supplement working for you?". 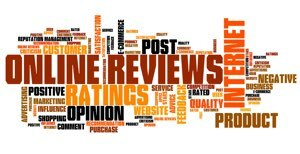 Looking for Seller Reviews that describe the Customer's purchasing experience? It works well. I have been feeling much better. Thank you for carrying and providing this for my wife! Absolutely a must for gut problems. I will not go without it. Great stuff. Taking it daily. I especially like using this oil in my salad dressing! I have being taking the product for a year now and I have being improving. The product is protecting me from side effects of cholesterol medication. love the products and service and ease of ordering! I use this product, and feel great using it! I think this is Niacin SR is a good product and I feel good taking it! I love taking Omega 950 and have no side effects taking it. Assuming you are taking the Osteo Vegan for Osteopenia or Osteoporosis, you might discuss and get a referral from your healthcare provider to have a bone density test. After starting a new osteoporosis regimen, many healthcare providers will repeat a bone density test after one year. Not a supplement that shows visible results - just hoping it's working. Typically probiotics don't produce visible results as their role is to increase the good bacteria in the gut to help offset the bad. With improved gut health though you might see reduced bloating and belly fat, particularly as unhealthy carbs and sugars are minimized in the diet. I have more energy and less pain. I highly recommend ImmunoG PRP! My son has been using this for a few months now and can tell a big difference. It is the best product. I have been taking it for a long time. My whole family takes it. This is the best magnesium product we have found. This product helped reduce my stress & helped me cut back on anxiety meds. Love how ImmunoG PRP helps my immune system so I dont get sick! best supplement for winter season. supports immune system. good supplement. wish they will make a high dose. seemed to help with insulin and blood pressure! I like the taste and it mixes nicely. I believe it helps with my digestive problems. Love this Vit D! I need this! wont know if it is working unitl a year from now. Assume you are referring to comparing your current bone density scan to future scans after you have been using the Osteo Vegan supplements. Others have reported increases in as little as six months. Hope that you have a great result. Please let us know when you have more information. Thank you for your feedback! This amino acid and l-cysteine acts as a powerful free radical scavenger which is important since we live in a toxic soup. I prefer the NuMedica brand because it clearly lists what it does and does not contain. Very satisfied with purchase experience. I have been using DIM Estro for years; I am estrogen dominate and menopausal at age 54. This helps metabolize all the bad estrogen that we don't need. I have been using this product for 5 years. When I began using this product, my joints hurts. Within 2 weeks there was no more pain. I have been pain free ever since. The taste is great and keeps me full until noon. Up until late 2013, there was a major craze online around getting homeopathic hCG drops. 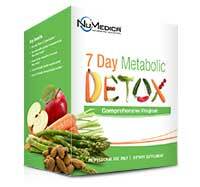 The NuMedica formula at that time used the hCG hormone, which as you, and many others have said, worked great. While there were some very good brands out there, NuMedica being the leader at the time, there were many less than reputable products on the internet as well that promised much and delivered little or nothing. No one knew what brands to trust, and what brands were nothing but "snake oil". Many consumer complaints were filed about the false claims being made by so many of these products so the FDA decided to make the hCG hormone no longer available without a medical prescription whereby the use of the hormone could be better regulated. 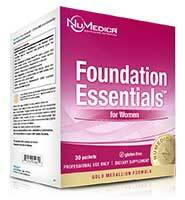 In response NuMedica revised the formula to use African Mango extract instead of the hCG hormone. Most people still experience great results- it is important to avoid processed foods though, especially those containing sugars, flours, oils, preservatives. If you prefer the hCG hormone injection from a healthcare provider, you can still get the rest of the hc3 Lifestyle Program (minus the hc3 Trim Active Complex Drops) to get the equivelant benefit of the program from its early days. 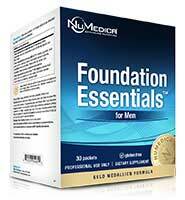 See the NuMedica Healthy Composition Support Program 30d. Have serious osteoporosis, and saw improvement in this years bone scan. First improvement in years. This is the best I have found so far! the dosage is perfect and when a family member is sick in the house I increase the dosage for everyone! after 6 months had bone increase. we will see soon what an additional 18 mths has done. Great product. Being micellized helps me absorb Vit D. Can really tell a difference between this product and reg Vit D.
when I slip up and over eat sugar and / or carbs this helps me not to crash into a deep, hour long 'nap'. Some have reported increases in bone densitiy in as little as six months. Hope that you have a great result. Please let us know when you have more information. Thank you for your feedback! I love NuMedica Products! Been taking them for a long time! I use this for leg cramps and spasms at night - really helps!! absorbing b- fits much better. feeling better. From battling cancer I was left with very low levels of vitamin D. Have used several different brands but absolutely love NuMedica D3. Raised my level up to where it should be and keeps it there. Survived cancer which is like surgical menopause that affects your hormones. MCT Oil does wonders for my skin and hair. I use it along with ALpha Lipoic Acid and it has worked well. I ran out once and got a joint pain relief supplement from a local store and my knees and knuckles just felt stiff like I was carrying lead weights. This supplement always works. Only think I don't like is it smells like day old shrimp. Love it. Have my mother in law on it also who has heart trouble. NuMedica's is superior to others I have tried. The person that provided this review is an herbalist who likes to care for others. She has since shared this testimonial about her precious mother-in-law and how she has benefited from using NuMedica supplements.. Gives me a little more energy and I seem to sleep better and handle stress better. Have noticed that when I run out of it and don't use it I don't feel as good. Helps me think more clearly. Get more bang for my buck with NuMedica's than the other supplier I was using. When I drink this regularly I just feel better. When you give the body what it needs it can recover. Amazing stuff. Best for my digestion. have been using for several months and have less bone pain now. I've taken this for years. Great combination in one packet. Only multi that doesn't make my husband nauseous, awesome! NuMedica L-Theanine Liquid - Natural Lemon - 2 fl. oz. NuMedica L-Theanine Liquid - Natural Lemon - 2 fl. oz. Something in life will direct you to the funny farm! That is a guarantee! I generally take Xanax. This is one of the supplements I'm taking to eventually replace it. I would be in serious trouble without it! Purchase was without any issue and timely delivery. Have been taking numedic osteo 30 day program for 2 year. Bone density has improved by 2 per cent each year compared to before using was loosing bone density of 4 per cent each year. Our family has been using this product for several years along with NuMedica's chocolate power greens. My husband enjoys it after an intense bike ride and our college student uses it to add variety to replacing a cafeteria meal without cooking in the dorm. The daily vitamin packs make it easy to get recommended supplements for men for a good price and in a convenient dosing packet. My wellness doctor told me to use this particular protein powder for my shakes. I didn't ask why I just did what he said. I read the label and now have a better understanding of the "why". 5 kinds of plant protein combined equals a great protein source plus certain health benefits unique to each plant. 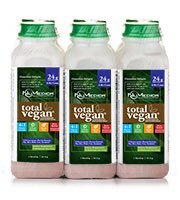 When I use Total Vegan in my shake there's a smoothness of texture without bulk. In my opinion, a bit expensive but well worth the cost! Great product, excellent customer service! NuMedica products were recommended by our Homeopathic Doctor, also an MD. We have appreciated how well our bodies have responded over the past few years. Being in our 70's and still hiking and working and not getting sick is very important to us. We are also very happy with the supplier, Supplement Relief. Their turnaround time of delivery is excellent and their pricing is very fair. Helped me with leaky gut and restoring gut health. The best McT oil on the market in my opinion. Shipped on time . Very reliable company. Than you!!! It got here before I needed it which was excellent. I really appreciate how promptly I received the product. Thank you so very much! Excellent as always. Thank you! This is the best for weight loss. I am trying the product and will report back in 30 days. I was heading out on vacation when I realized I didn't have enough Phosphatidyl Serine to carry me over. I placed the order and Jay sent it out so I could receive it the next day. I will only purchase NuMedica products through Supplement Relief Thanks! Easy to take it and keep. It really helps me a lot. I am very Pleased with this product! I'm Preparing for an exam and its been very helpful! I’ve been ordering for ten years! Love! Love it! My hair, nails, and GI tract are the best ever since taking it! Won't do without it. Will be a monthly customer from here on out! I had the shakes when I first started taking this, I was told by the friend that informed me about this product, that they might happen as so adjusted to it. It took 2 weeks for the irritability and the shakes to subside and then disappear. I have a slow thyroid and was very weak and tired all of the time. I thought it was just my being anemic, went to my Doctor and he ran blood tests and discovered my slow thyroid. I was put on 3 different kinds of thyroid medicine, that really gave me bad side effects. I couldn’t sleep, everything irritated me severely. If someone at work would sound upset I would start shaking really bad with bad heart palpitations. Then a friend at work told me about this formula, this formula had mild side effects compared to the other 3 medicines the Doctor tried on me. This formula works for me. I have the energy to get out of bed and my weight is more manageable on this formula. I understand. Not all of us like swallowing pills... Here's an alternative that might be helpful. NuMedica offers the ImmunoG PRP in two other forms: powder and chewable. The powder can be mixed with water or put into a juice drink or smoothie. The chewable is Cherry flavored. Hope one of these options works better for you! I have been taking it for about 6 months and I feel much better since I do. My labs are normal now and using high grade supplements is the key to make the difference. 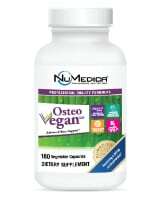 I’ve used Ostep Vegan before and went from osteoporosis to osteopenia. Then I used a less expensive product and I’m back to osteoporosis. I’m so thankful to find Supplemantal Relief so I can afford to buy Osteo Vegan again! Thanks!!! Back order takes too long. But excellent service from Jay. I gave your product a below average as the back order takes too long if you are relying on taking your calcium every day. I ordered the strontium which is on back order and which goes together with the main bottle. However, I like to give a 5 star for the service I received. Jay is informing me every time the status of the back order and asks if I like to cancel. This product has been recommended to me to use to improve my osteoporosis. I cannot give a review yet whether your products work. I give a No for recommending as I do not know whether the products work yet. I understand, backorders are a challenge for us, the manufacturer, and especially you the customer. Sometimes when the product is on backorder with the manufacturer, which in this case it was, the manufacturer provides an estimated availability date so the product may come back in stock later than this expected date for several reasons. NuMedica's supplements are professional-grade which means they go through extensive quality testing once they complete the manufacturing process of a new batch of product. If the product does not pass all of the required tests, the entire batch is thrown out and the manufacturing process has to be repeated which results in ... delays and a revised estimated availability date. I realize running out of a critical supplement like Strontium is not good and hope this does not happen again to you or anyone else; but, with professional-grade supplements it is possible. At least you know you are getting quality supplements that really meet the specifications on the label. I recommend if you are on a critical supplement regimen that you keep an extra bottle so that you still have supply in the event of these infrequent, but definiately possible backorder situations. Thank you for sharing your feedback and for being patient with us while we got your backorder situation eventually resolved. Have used this product for many years. Leg cramps and night leg pains no more! tried other enzymes in past never noticed anything. Took these and when I stopped taking them noticed a huge difference in my ability to digest food without them. Just easy and quick. Great way to do business. I will always order from here. Excellent products and fast fair service! Very good way to get protein and make intake of fruits and vegies much easier. I have used this of a couple of years and really like it. Need cholesterol help this is it !!! I have been taking this for years to offset sude effects of my statin. Wirjs great! Easy to order and quick to ship. Simple. The product works. I've tried many that don't. It provides joint relief in a couple days. Works well. Was recommended by my functional medicine doctor. I love the product but the company failed to tell me it was backordered when I placed my order. They still deducted from my card. What I thought should have arrived in 3-5 business days took 7-10 business days leaving me without product that I needed. I am very sorry that happened. We made a mistake. 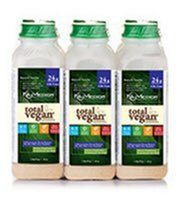 We were not aware when your order was placed that the Total Vegan Protein was on backorder with the manufacturer. Whenever we are temporarily out of local stock of a product we usually have the order dropped-shipped from the manufacturer so that the customer does not have to wait for us to get more local inventory. We clearly dropped the ball in not knowing the product was on backorder and then in not communicating the backorder situation and options to resolve it to you in a timely manner. We will look at how our website and customer service procedures currently handle backorders and see what we can do to handle backorders better. I am glad that you like the Total Vegan though! Thank you for providing this feedback! Great products, excellent fast service. Received my order two days after I placed my order. Price for the supplement was excellent. I’ve been ordering HC3 from Supplement Relief for over 5 years, I’ve never had any issues with the product or the service. These guys are phenomenal! These quality GABA capsules were recommended by my functional medicine doctor. They work very well! Helps with recovery and pain releif in feet and knees after exercise. Been great for inflammation and doesn't taste fishy. Great all purpose b vitamin combo . Helps to increase my energy levels. Increased my Vitamin D level. After lab work, my physician advised me my Vitamin D level was low. After using this product for 3 mos., it is back to normal. I've noticed more energy sense switching to B-Replete . it only took a few days to notice the difference. this is the brand I'll use from now on. Thanks for a quality product ! I think this product works really well. I was surprised that I didn't get an e-mail confirmation, but I just checked my junk mail and there it was. I just got the delivery today. Very well packed. I've always been satisfied with Pan-RX. It has a very good reputation. Great service, great products from NuMedia. Love this product. It delivers on its promises. Got my product while on vacay! Website was easy to use and product was shipped promptly. Increased bone density in just 12 months!!! Been taking Osteo Vegan 30-day Program + John Kelly Personal Training (weight training in Austin, Texas) for 1 year (December, 2016 through December, 2017). Retested bone density. Went from osteoporosis to osteopenia and a 12.4% increase in total lumbar spine. Hip continues in osteoporosis but with 3.5% increase, and neck continues in osteoporosis but with .2% increase. Amazing results in 1 year!!! Will continue Osteo Vegan product!!! At 66 years old, such success was unexpected!!! Great appetite suppressant! Lots of energy without the jitters. Will be ordering again. I love this Vitamin C. I love the taste. Plus, it does not cause diarrhea. What a wonderful product. However, I wish that this product could be cheaper; or, offer some more quantity discount. To keep this simple, SupplementRelief had the product I was looking for. They provided free shipping. Exact product I order came to my house. Thank you! NO issues which made them a 5-star for me. Protein drink with a great taste! I'm diabetic and drinking NuMedica SlimFit is an easy way to start my day with 24g of protein. I was able to find the supplement easily and received it quickly. It is working for me!! I can recommend to others that are concerned about their bond density. THis is a wonderful product. No problems whatsoever. Great product that i use in my morning smoothie. Good taste and recommended by my nutritionist. I like this product is wonderful. It works better than other similar products that I have tried.